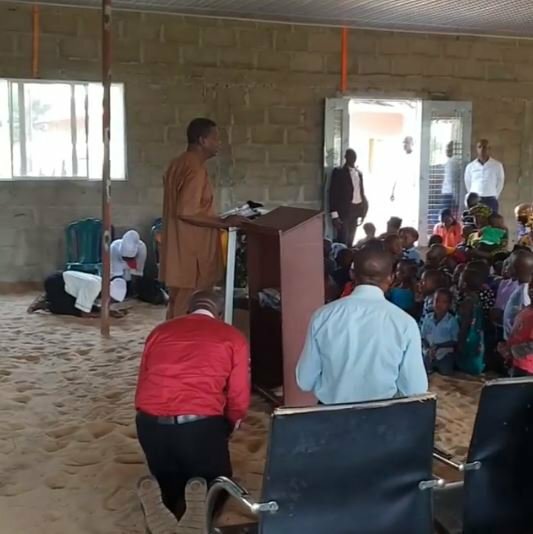 Pastor Adeboye visited a parish of the Redeemed Christian Church of God with an uncompleted building, surprising the church members with his presence. The General Overseer later shared a video of himself praying for the members of the parish while everybody were on their knees, inside the building. He said Jesus Christ is for everybody regardless of their location, population or their standing in society. “JESUS is for everybody,” Pastor Adeboye captioned on Instagram. “Regardless of their location, population or their standing in society. Happy Sunday. JESUS is for everybody. Regardless of their location, population or their standing in society. Happy Sunday. Randomly visiting any place where they are truly calling on the name of JESUS Christ the Saviour.